The Cool House: More Balls! 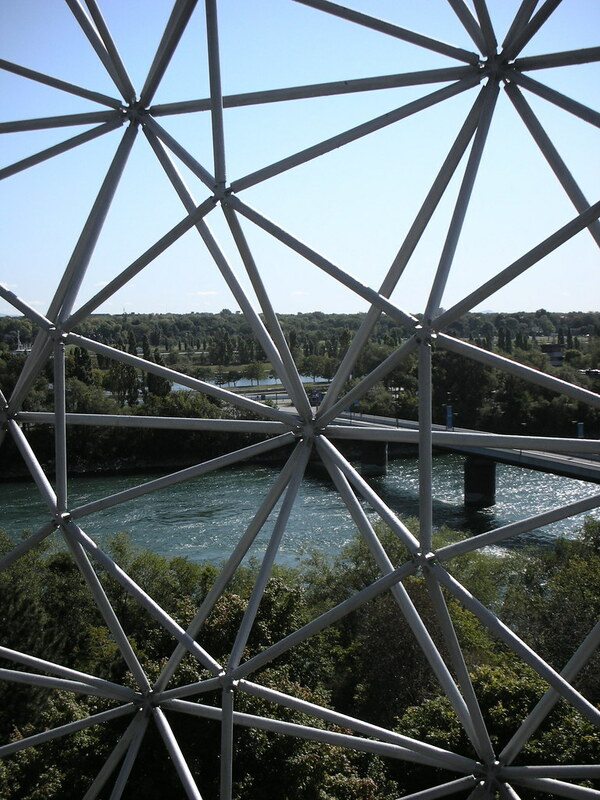 Feeding my fascination with Buckminster Fuller and geodesic structures, we visited the Biosphere Environmental Museum in Montreal. 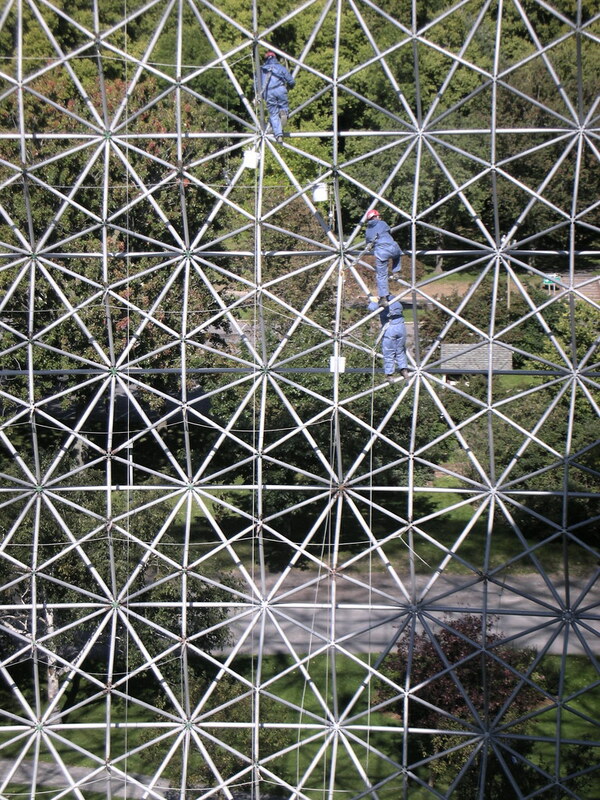 This fun, interactive museum is built inside the dome designed by Fuller for the 1967 World Expo. The original structure was protected from the elements by a transparent acrylic membrane that was destroyed when the sphere caught fire in 1976. Now the dome is completely uncovered, which is great for viewing the surrounding landscape and watching the these guys perform a little maintenance.